Virginia's state legislature appeared to make some progress yesterday toward adopting the Affordable Care Act's Medicaid expansion, which would cover some 400,000 people in the state, per the AP. Why it matters: There are only 14 states that haven't taken part in the ACA's Medicaid expansion. It gained new life in Virginia after Democrats made big gains in the state legislature, and ballot initiatives are one way — albeit not a sure-fire one — to advance the issue in deep-red states. Meanwhile, Medicaid expansion will officially be on the ballot this fall in Utah. The state certified the ballot initiative yesterday, after advocates submitted the required number of signatures last month. The referendum is competing with a partial expansion that has the support of Republicans in the state legislature, as well as Gov. Gary Herbert. The full expansion would cover roughly 70,000 Utah residents, according to the Salt Lake Tribune. Advocates in Idaho also say they've collected enough signatures to get the expansion on the ballot. It would cover up to 62,000 people there. 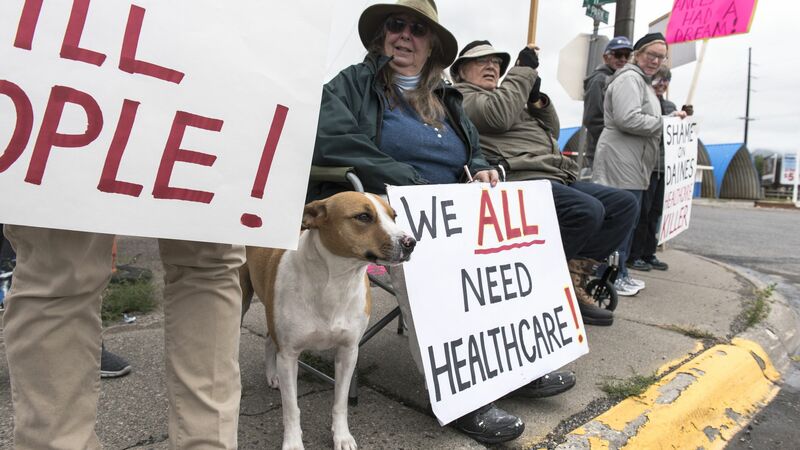 The bottom line: If all three states ultimately sign on, more than 500,000 Americans could gain health coverage, and Medicaid could become even more politically difficult to cut.